The POLYLAM vertical baffle system enables a whole range of ceiling designs thanks to variable baffle spacing, widths of 30, 50 and 100 mm and heights of 100 to 360 mm. POLYLAM can be supplied powder-coated in any RAL colour tone as well as in anodized aluminium. 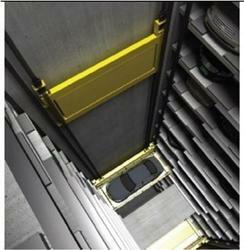 Matching up with the requirements of our clients, we are involved in offering Vertical Car Parking System. To provide for the growing needs of parking facilities in our country, especially in the urban centers, Ram Ratna Group has initiated a venture and brought the best available vertical car parking technology from Korea to our country. 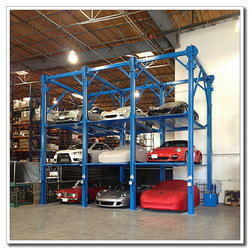 Owing to our proficiency in this domain, we are providing our clients an optimum range of Vertical Car Parking System. Sustainable Parking lots in Municipalities to ensure smarter cities. : Dimensions & Weight of Vehicles: Passenger Cars: 16 Nos.